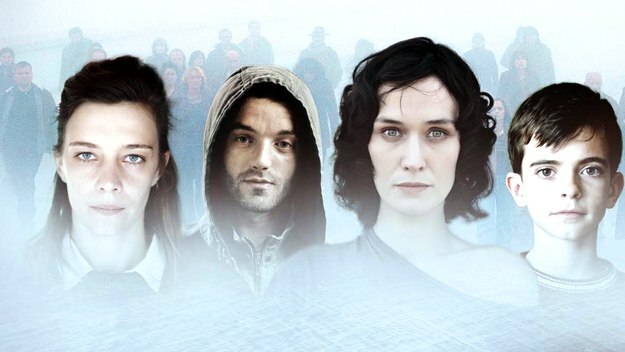 'The Returned' is Channel 4’s newest import from France that has had people talking from across “The Channel”. In a small Alpine village the town is shaken as the dead start appearing unharmed and not knowing they have been dead for several years. And before you say it, they are not zombies...honestly no one knows what they are! One of the main “back from the dead” characters Camille, who in my opinion steals the show straight away. This sassy teenager is coming back after three years to a broken family, her parents have split up and her sister (Lena) is living an independent life. After being killed off in a tragic bus accident while on a school trip, it is hard for Camille and her family to adjust to the fact she is back. Camille is a character that will evolve as the show goes on; her journey is something you will want to follow. Another character to watch out for is Victor, a small boy who finds himself looking for comfort in Julie a young nurse with a dark past. Victor automatically gets attached to Julie even though he hardly speaks and smiles in such a creepy way that makes you want to lock your doors at night. Victor’s character does not start to develop until about the fourth episode so you do need to be patient. The thought of reading subtitles while watching a television show can really do my head in. But when my family decide to talk at the top of their voices while I am trying to catch up on my shows, this always forces me to use subtitles. When I started watching 'The Returned' after I came back from Miami, I was still kind of taken aback with the subtitles even though I knew the show was in French. It is great to see Channel 4 bringing in shows from other countries other than the USA. Now do not get me wrong I love my US shows however it is refreshing to have a show where you have to actually use your eyes and watch the show, as the characters are speaking French and once you take your eyes away you could potentially be missing out on a piece to this whole mystery of the show. Catch 'The Returned' every Sunday at 9pm or on 4oD. When you think of the E! Channel, the first thing (if anything) people would associate it with it is 'The Kardashians'. They have taken over E! over the past few years with Kim, Khloe and Kourtney gaining their own spinoff shows and stardom at the same time. Recently though, E! have been trying to find new stars for their channel. First came pop group The Saturdays with their show 'Chasing The Saturdays', which was cancelled after one series due to the girls being too nice for American television. The Wanted have now been given the opportunity by E! to live up to their party lifestyle. The group consists of Jay McGuiness, Max George, Nathan Sykes, Siva Kaneswaran and Tom Parker. These boys have been hitting the charts since 2010 with their first single 'All Time Low' going straight to number one. Now the group have a massive house with their own bar and swimming pool and suppose to be focusing on recording their next album, but that goes out of the window as soon as the tequila shots are poured. All apart from Nathan who is nineteen and as it is against the law in the US to drink until you are twenty-one, he still has a while to wait. This is not Nathan’s only drama as his vocal chords start playing up on him during the recording of their new album. This unfolds as the series goes on, with the band worrying over one of their main vocalists. The boys are not alone on this trip, Siva and Tom have brought along their partners Nareesha and Kelsey to stir up this party. Now Kelsey fits in with the boys straight away, partying along and having a fun time. The same cannot be said for Nareesha who seems to have Siva on a tight leash that the boys notice straight away. As the series goes on Siva is forced to into difficult situations where he sometimes has to let down either his girlfriend or the boys. In all honesty I do not get why the boys even decided to do this show, they do not need it as they have decent success in the UK as well the USA, but I guess money can persuade people to do many things. I do have to admit from only the two episodes that have been screened in the UK so far, I am actually quite intrigued by the show. Unlike 'Chasing The Saturdays', the boys are a lot more aggressive and will just say what comes straight to their head - which makes perfect reality television. Catch 'The Wanted Life' every Monday at 9pm on E!